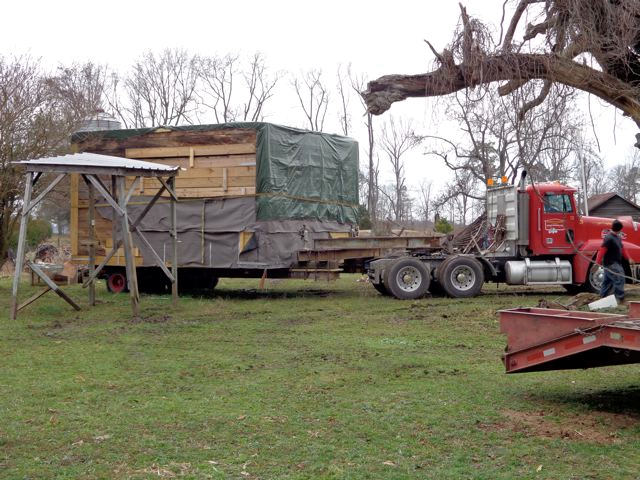 In our book, WH Cabinetmaker, A Southern Mystery Solved, we identified William Seay as the WH cabinetmaker. 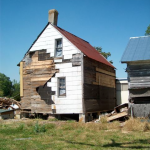 Not only was he an accomplished cabinetmaker, leaving behind numerous pieces highly coveted today, he also was the foremost house joiner in the lower Roanoke River Basin in and around Bertie County, NC. 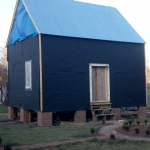 Notable in his architectural work is Hope Plantation near Windsor, NC, the 1803 home of Governor David Stone. 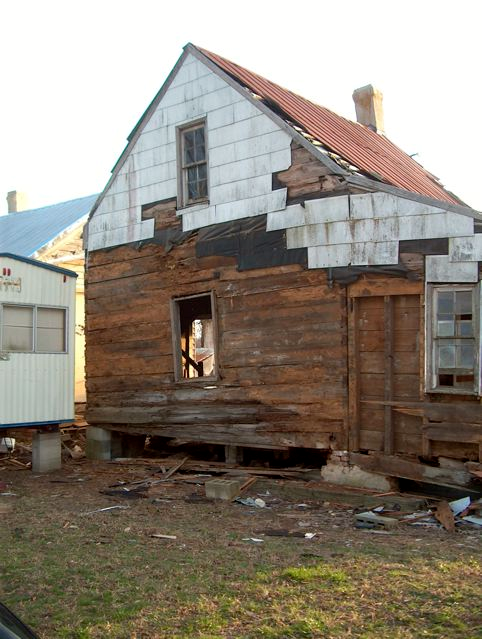 Seay’s home and base of operation were located outside present-day Roxobel, NC. 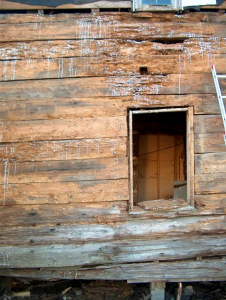 His cabinetwork and house joinery, as well as his family ties, property, and varied business relationships, are covered in detail in our book. While doing research on property records and old buildings for the book, we fortuitously discovered William Seay’s c. 1790 workshop (Figs. 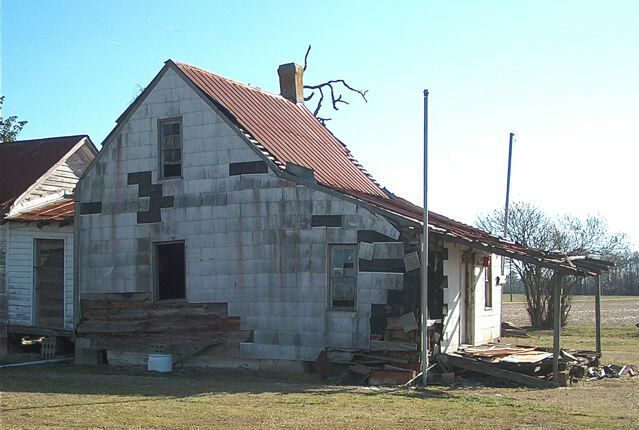 1 & 2) still standing on property he owned between Roxobel and Kelford, NC, on what was known from at least the mid-eighteenth century as the Saw Scaffold tract. Mrs. Anne Johnston Isley of Raleigh, NC presently owns the land. 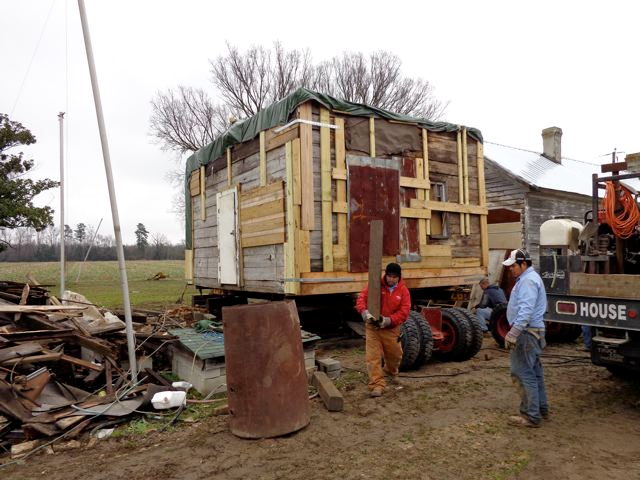 Mr. Alton (Al) Parker manages her land, as well as other lands in the area. 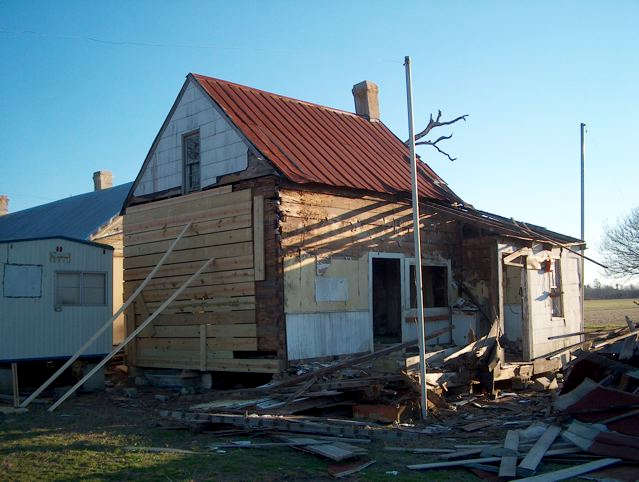 Mr. Parker actually grew up in the shop and the attached house, and he now uses the house as his hunting lodge. Arguably, this shop is the most important and most humble of the buildings Seay built. 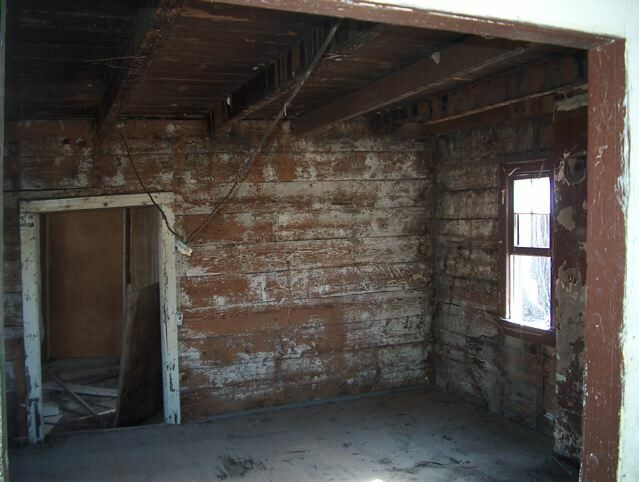 Seay likely constructed all of his furniture and much of his architectural trim in this building. 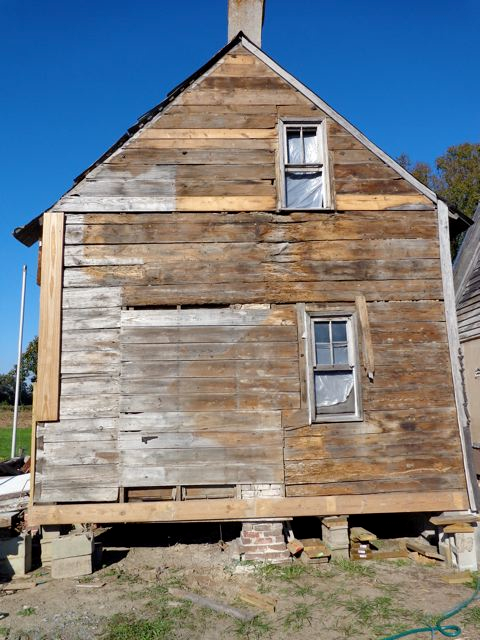 When discovered, this small log or plank building, being used as a hay barn, was the only known free-standing, southern, cabinetmaker’s workshop from the late eighteenth century on its original site. 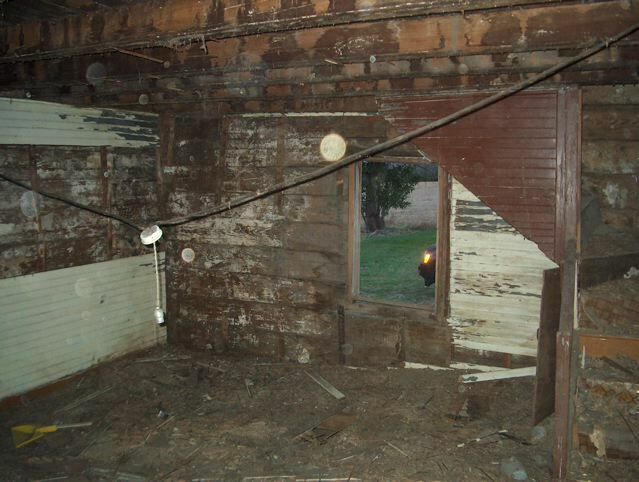 Sadly, its condition was bad. Two years after the 2009 publication of our book, the condition of the Seay shop had declined further to deplorable (Fig. 3), and its fate was sealed. 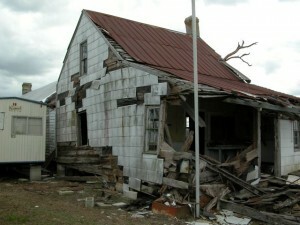 It had been decided that this derelict building would be burned to create more space for hunting activities. 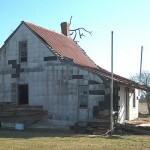 Upon being informed of the unique nature and importance of this building, Mr. Parker halted the plan for its demise and agreed to allow the building to be saved. A phone call to Mrs. Isley arranged transfer of ownership of the shop. 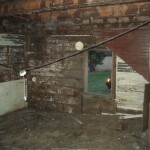 Mr Parker was especially pleased that this older section of his childhood home would be preserved. He happily granted access to the land, and he and family members provided help whenever needed and security for the shop. We sincerely thank Mrs. Isley and Mr. Parker. 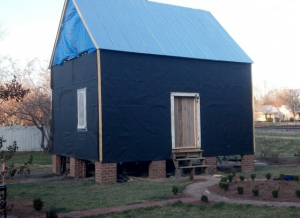 They were instrumental in saving this extremely important example of southern vernacular architecture. 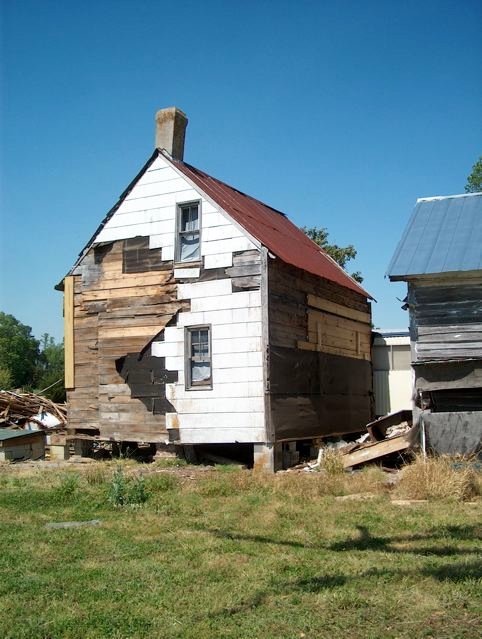 This research note addresses only the evaluation of the condition of the cabinet shop of William Seay, stabilization of the shop, preparing the shop for its move from its original location, the move itself, and placement of the shop on its new site in Edenton, NC. Our goal with this research note is to provide a written narrative and extensive photo documentation of the move. 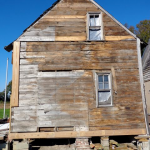 While undertaking these efforts, considerable evidence was discovered of the original cabinet-shop use of the building as well as the evolution of the building from its initial construction in the late eighteenth century through the circa 1830 conversion of the shop to a residence. Also, evidence, resulting in a number of unanswered questions, was revealed in the move process. 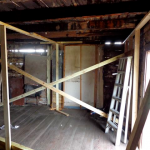 In a series of research notes on Mr. Seay’s shop, to be published here, we will present the evidence we have found and are still finding, and we will attempt to answer the questions the building continues to present. 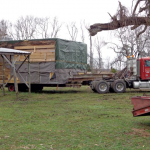 The sole purpose of the move was to preserve the shop. 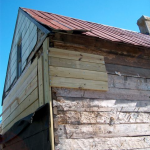 No attempt has or will be made to restore the shop to the Seay period or any other period. 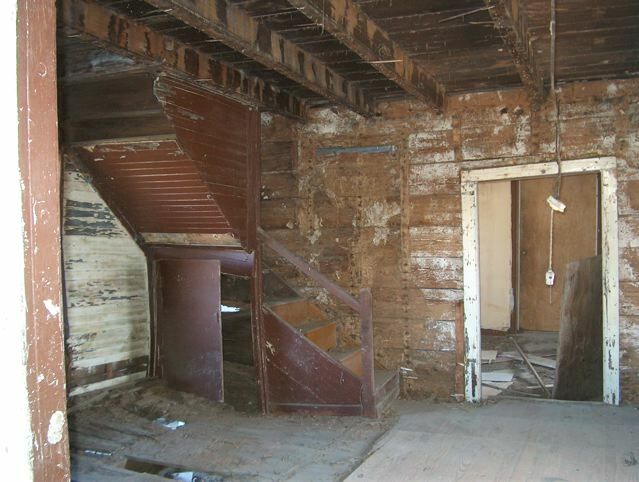 Mr. Seay’s cabinet shop will remain a study building where evidence of use and evolution of the building can be examined. 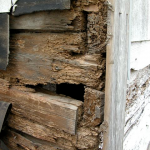 With a log building in this condition, the overarching question is where do you begin to try to save it? 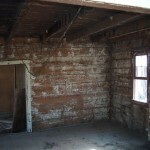 Initially, you empty the interior of the building, in this case of hay, remove modern wall and ceiling coverings, and examine the inside condition. 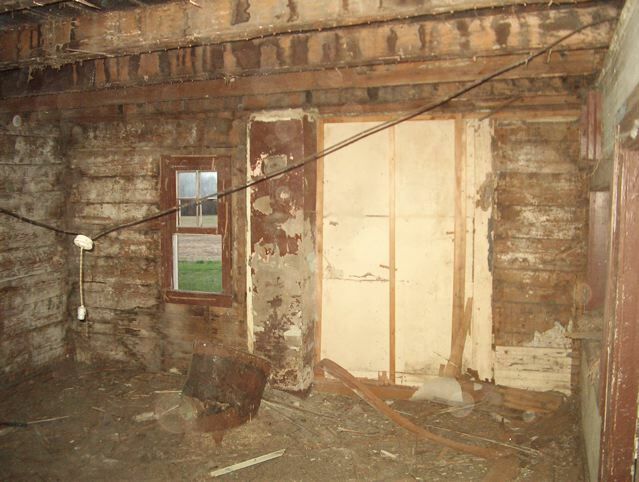 Fortunately, the interior of the Seay shop was essentially intact and in fairly good condition except for some expected rot and insect damage (Figs. 4, 5, 6, 7, 8, & 9). This finding was encouraging. 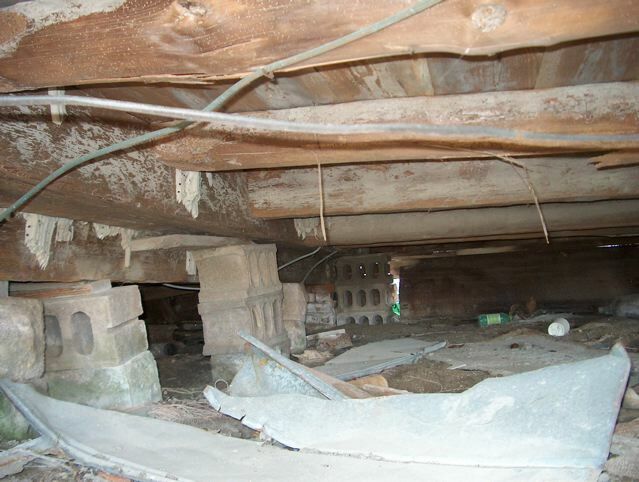 Unfortunately, an examination of the building structure from the crawl space was not as encouraging. 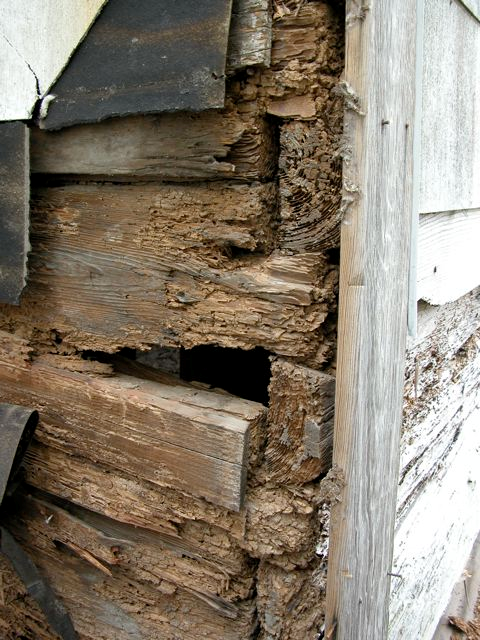 Rot and insect damage was more extensive (Fig. 10). 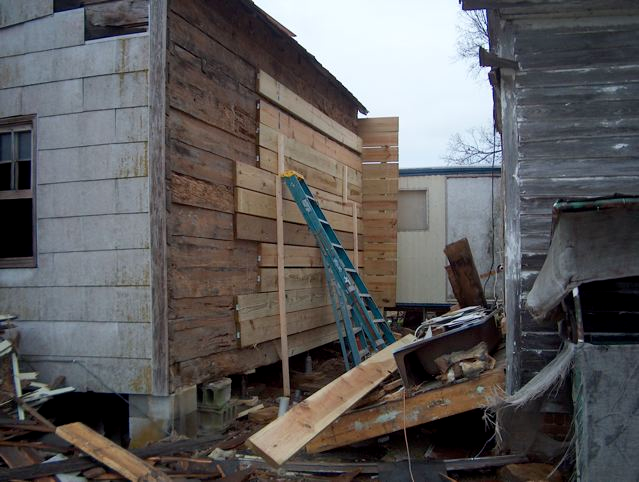 Finally, the modern, exterior skin or covering of the Seay shop had to be removed to assess the overall condition of the building’s log or plank structure. 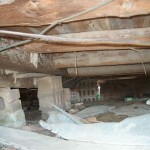 This resulted in a major disappointment, as extensive rot and insect damage was discovered (Figs. 11, 12, 13, & 14). 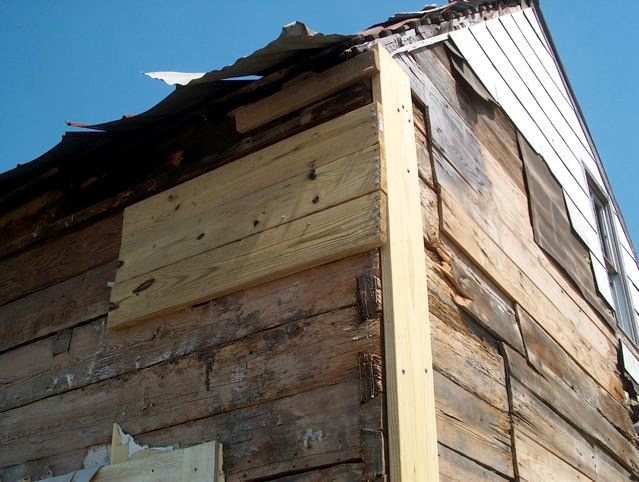 One corner had lost all structural integrity, a condition that usually spells doom for a dovetailed plank building. 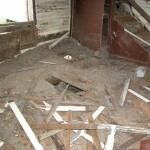 In this condition the shop could not be moved! 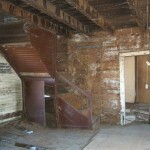 Was this condition discovery enough to warrant abandoning the effort to save the Seay shop? No way! 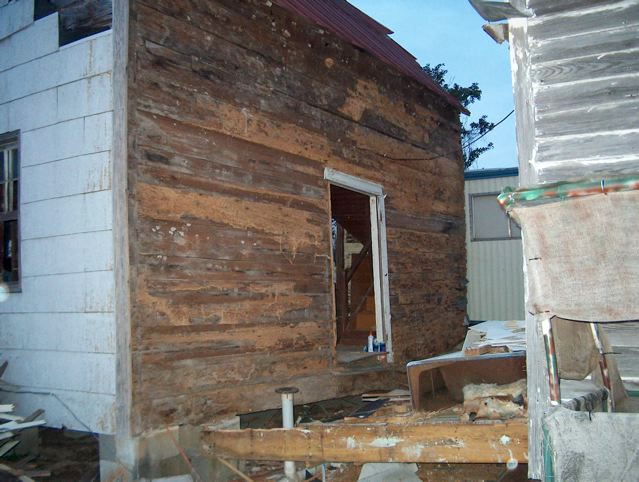 Only the framed shed was beyond saving (see Fig. 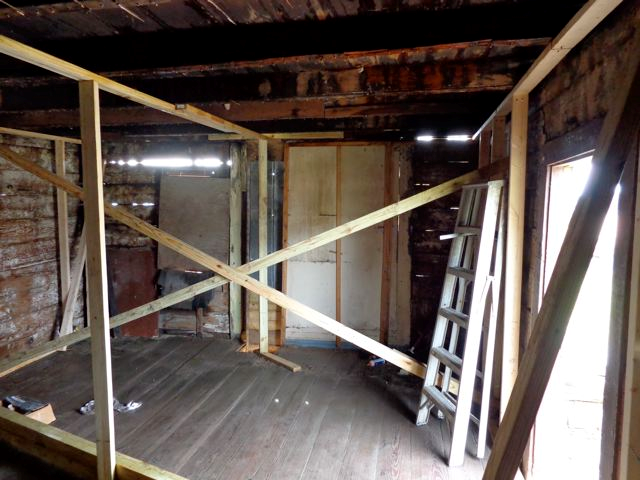 3), and all sound framing members from the shed were salvaged, photographed, and marked for future study or possible reconstruction. 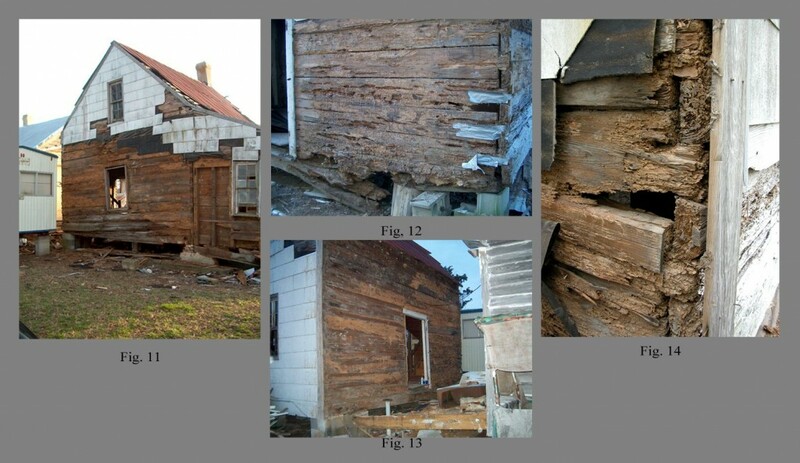 Back to the earlier question, how can the deteriorated log building be saved and moved? Disassembly was not really an option. 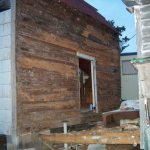 Way too much of the original fabric of the building would be lost, and remember this shop is a one-of-a-kind, not just any old log outbuilding. Some creative thinking was required to formulate a solution. 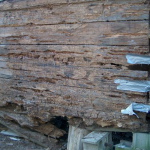 We, with master carpenter, Donald Austin, devised a plan to stabilize the damaged logs of the collapsed corner first with penetrating wood hardener (Fig. 15 & see Fig. 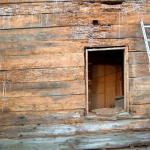 12)(note wood-hardener drips) and then encase this section of the building with an exoskeleton of 2” x 12” salt-treated boards bolted onto the logs. 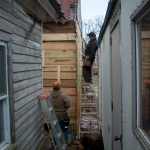 Mr. Austin and his talented crew figured out how to attach the exoskeleton of horizontal and vertical boards (Figs. 16 thru 22). 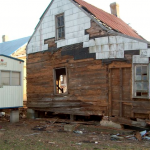 Slowly they jacked up the collapsed side. 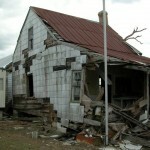 It began to bow, which if they had continued would have doomed the building. 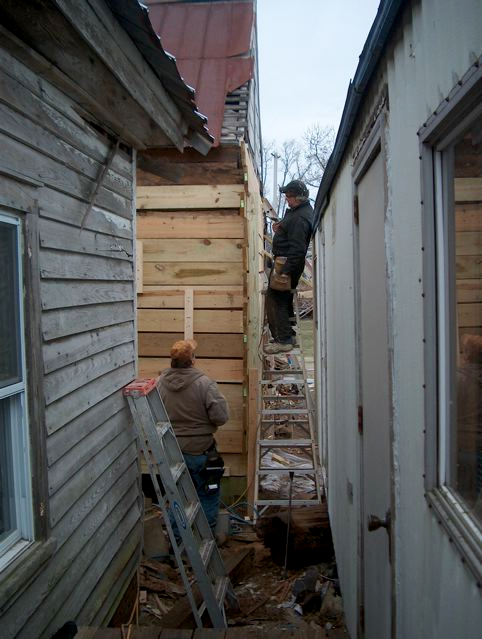 The crew bolted more wood to the shop and began jacking again. 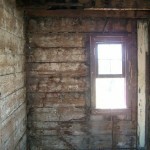 The shop would creak and shake, and everyone would scatter. 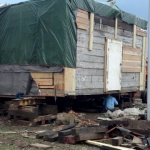 They would regroup and continue jacking until the building was level. 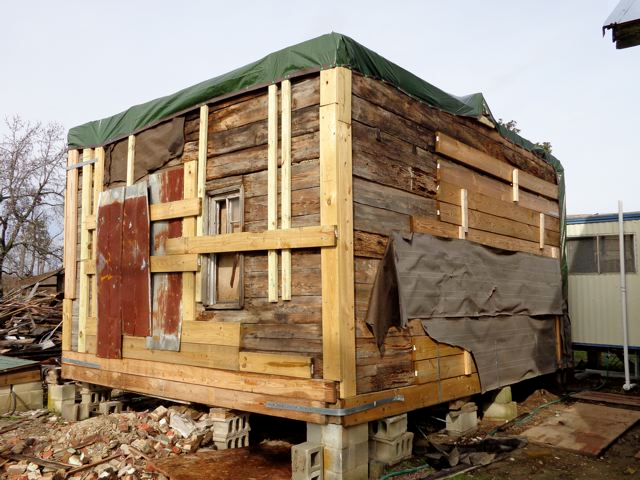 Mr. Austin had to admit that this was the most challenging of the buildings he has saved. 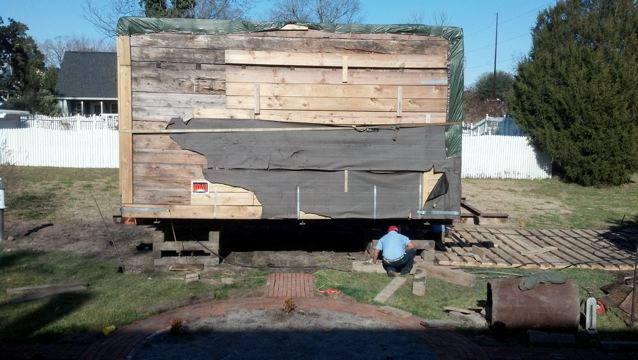 Next came removal and salvage of the remnants of the shed structure. 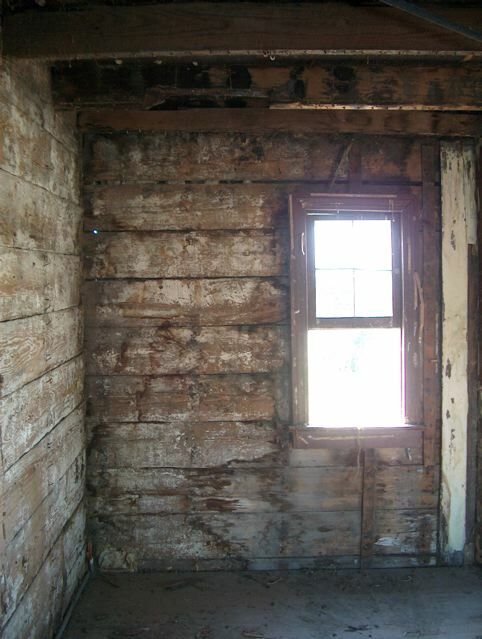 As each element was removed, extensive photographs were taken to preserve evidence. 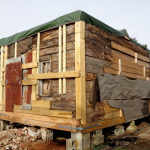 The process was much like above-ground archaeology. 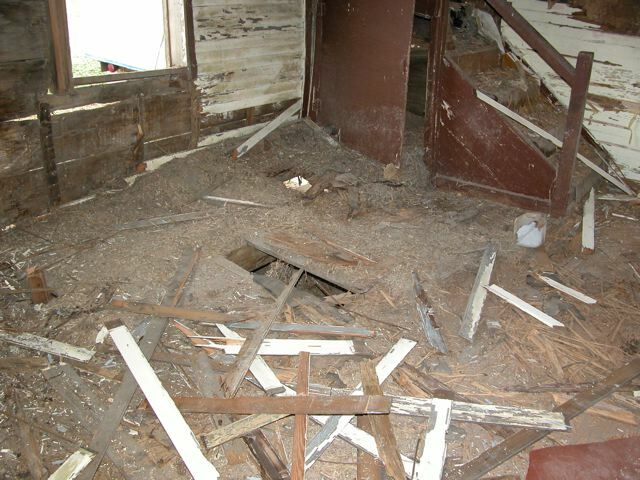 Thorough documentation is essential in both instances as the process leads to the destruction of the object being examined. 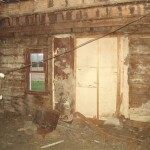 Elements of the original shop-period shed were discovered reused in the current circa 1830 period shed. 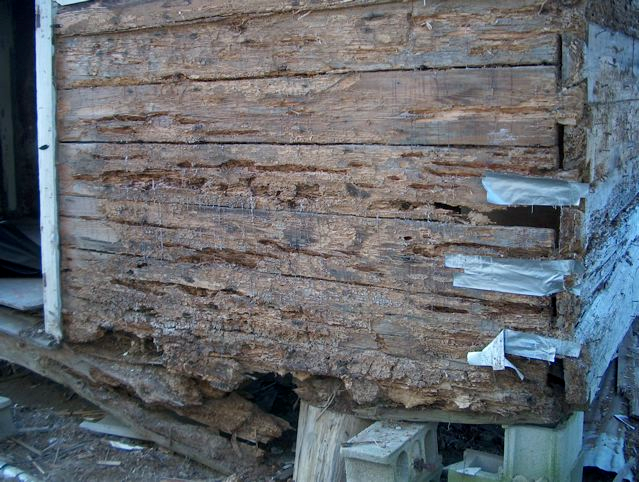 Examples of nails from both shed periods were gathered, marked, and preserved for later study. 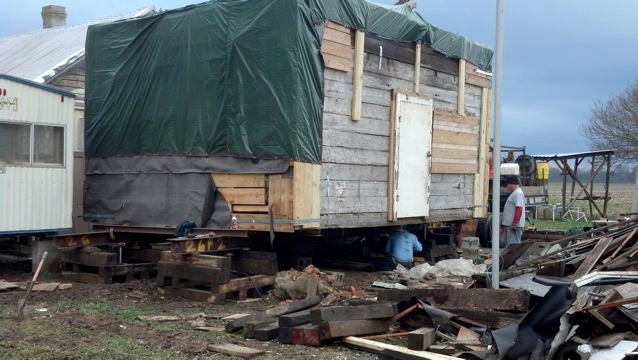 The current shed could have been removed easily in a few days, but its story would have been lost. 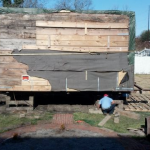 Our method of shed removal, salvage, and documentation took several months. 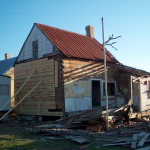 It included regular conferences between the authors, exchanges and discussions of photographs during the process, and extensive, hands-on, Newbern labor on the ground. 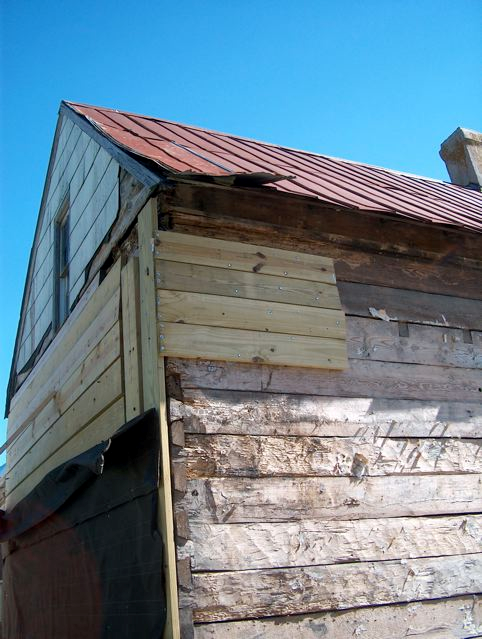 Was this an over-the-top effort for a small shed addition in deteriorated condition? No, the process was essential. 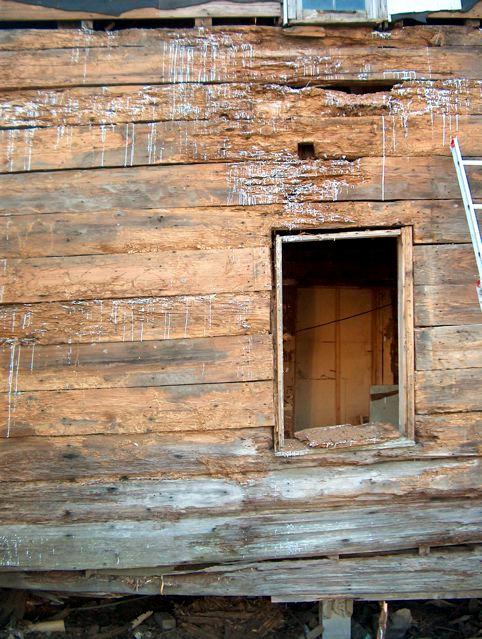 The smallest piece of evidence might hold the key to discovering how and when the shop was actually used, so everything had to be documented and preserved. 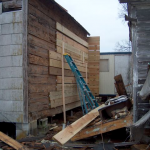 With the shed removed, lateral stability of the shop was a concern before it could be moved. Consequently, interior bracing was required (Fig 23). 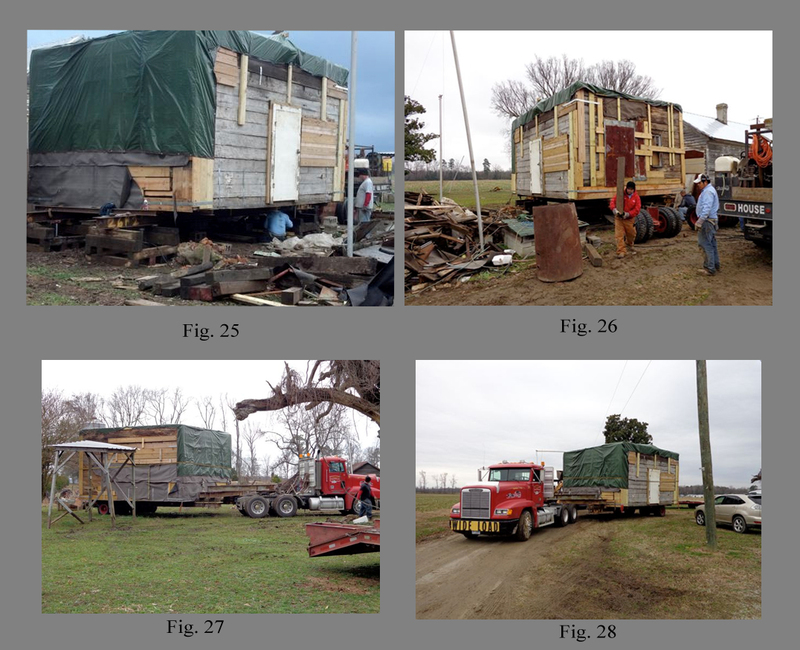 The final step before placing the Seay shop on the trailer for the move was to drop the roof structure and mark the components for exact reinstallation after the move (Fig. 24). 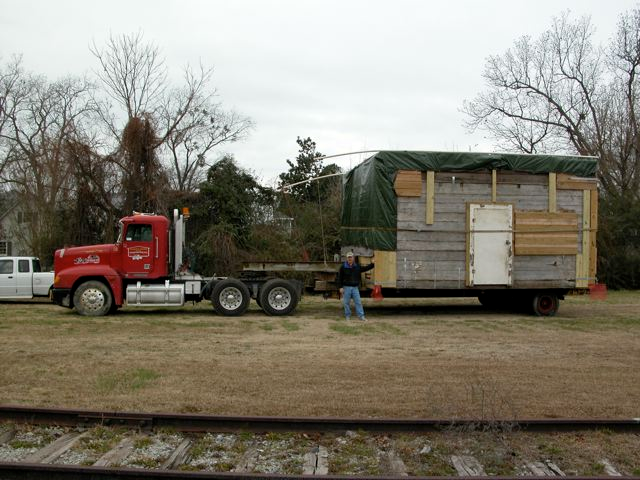 With the building level and relatively stable, Mr. Worth Hare, Jr. of Worth H. Hare and Son House Moving took over the project for the 40-mile move to Edenton. 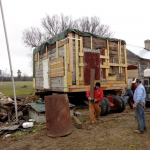 His crew inserted the heavy steel beams under the shop, jacked the structure up, placed the wheels, and attached the trailer to the tractor for the move (Figs. 25, 26, 27, & 28). 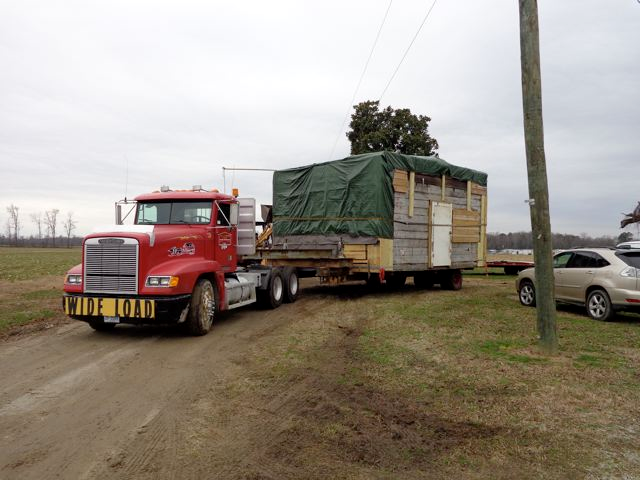 The trip from the shop’s original site near Roxobel, NC to its new home in Edenton was uneventful (Fig. 29). This was due in large part to First Sgt. Todd Lane of the NC Highway Patrol. 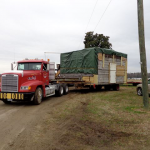 He facilitated the highway transit across two NC Highway Patrol Districts and his troopers escorted the building along the way. 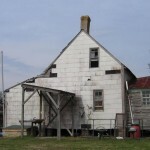 Once in Edenton, Mr. Hare expertly placed the Seay shop precisely on its new site (Fig. 30). There is an old saying “It takes a village to raise a child”. A variation of this statement certainly is true in this case; it takes a village to save an important and priceless old building. 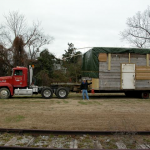 Through the move phase, the village was comprised of Mrs. Isley, the property owner, Mr. Parker her land manager and his family, Mr. Austin and his crew of carpenters, Mr. Hare and his crew of house movers, First Sgt. Lane and the troopers of the NCHP, and of course us. 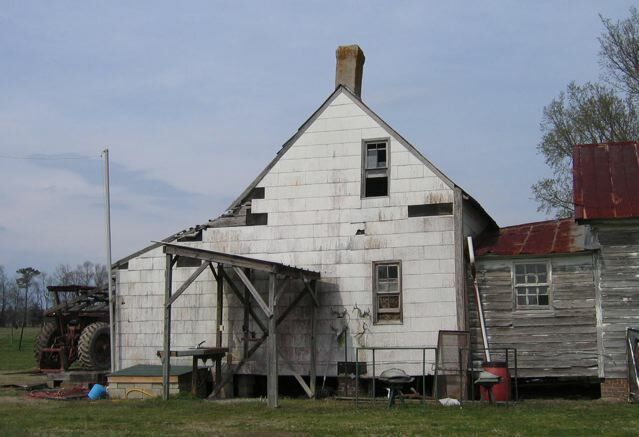 Now that the shop has been moved successfully to 307 East King Street in Edenton, more “villagers” will be added to the list as the preservation project continues and as we continue to document the preservation of the Seay shop in additional research notes published here (Fig. 31). Newbern, Thomas R. J. and Melchor, James R., 2009, WH Cabinetmaker, A Southern Mystery Solved: Benton, KY, Legacy Ink Publishing.